KEUKA PARK—Keuka College has selected Dr. Jorge L. Díaz-Herrera, dean of the B. Thomas Golisano College of Computing and Information Sciences at Rochester Institute of Technology (RIT), to be its new president. The college’s board of trustees announced the selection Saturday, Feb. 26, at its winter meeting in Rochester. Díaz-Herrera will succeed Dr. Joseph G. Burke, who will retire at the conclusion of the 2010-11 academic year. Burke has served as Keuka’s CEO since 1997. 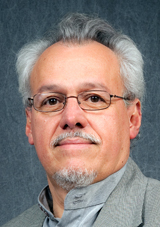 Díaz-Herrera, who also serves as professor, came to RIT in 2002. Formerly, he was professor and department head of computer science and Yamacraw project director at Southern Polytechnic State University in Marietta, Ga. and member of the executive committee in the Georgia Tech-led Yamacraw project. He was a senior member of the technical staff at Carnegie Mellon’s Software Engineering Institute, taught in the Master of Software Engineering program, and conducted research in product line engineering. In addition, Díaz-Herrera served as chair of the first-in-the-U.S. software engineering department at Monmouth University, N.J., and on the computer science faculties at George Mason University in Fairfax, Va., and SUNY Binghamton. He also taught at the Universidad Centro-Occidental and was senior software engineer and department head at Empresa Regional de Computación, both in Venezuela. He has consulted for a number of firms and government agencies including the New York Stock Exchange (SIAC), MITRE Corp., Institute for Defense Analysis, General Electric, Singer-Link, TRW, EG&G, and IBM, among others. He has also provided professional expertise to international organizations including the European Software Institute, Australian Defense Science and Technology Office, Kyoto Computing Gaikum, Kuwait University, Cairo University, and Malaysia University of Technology.